Keys are one of the most important items we carry with us daily. It is very easy for something to happen to them, because they are so small. If anything were to happen to your keys, it can be a stressful situation. 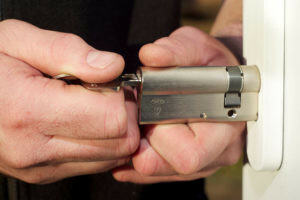 Locksmith Menlo Park is here to help you with any of your locksmith needs. We have local locksmiths throughout the Menlo Park area that can be at your location within minutes after you make the call. We offer a range of services for residential locksmith including rekeying, making duplicates, and replacing locks to name a few. So, if you lost the keys to your house, we suggest rekeying the entire house and making new keys to match. This involves rearranging the pins in the locks and making new keys match, so the old keys will not work with the newly rekeyed locks. Maybe your keys teeth are just worn down and the need to be duplicated. Hence, this is a simple and quick process that can be done within a few minutes. Need Local Locksmiths? Call Us! Maybe you locked your keys in your vehicle and don’t have a spare. We also highly recommend that you call us first and don’t attempt to unlock your car by yourself. Because, you could accidentally cause extra damage to the car or lock and make the situation worse. We have professional tools that let us gain entry without causing any damage to your vehicle. 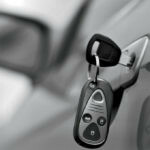 We can also replace lost car keys for any year, make or model. So, our technicians can program new keys to match your vehicle’s frequency. 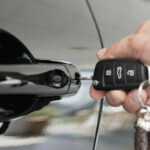 No matter what kind of vehicle lockout situation you are in, we will be able to fix it. 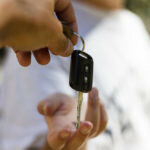 If you lost or damaged your house keys, we can help you there too. Sometimes the teeth of the keys get too worn down to properly work. This is a natural occurrence, because we use these keys all the time. We will suggest to rekey the entire home, because you do not want a stranger to find your lost key and gain access to your house. This is an easy fix and won’t take much time. Rekeying just requires us to rearrange the pins in the locks to match the new keys. So, whenever you need of local locksmiths, call Locksmith Menlo Park. And we will be at your service right away.